Before setting off on your northwest Georgia sightseeing adventures, stop at our dining room for a complimentary, hot breakfast. 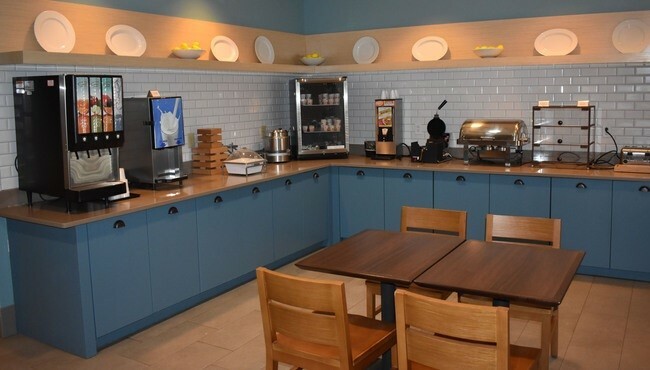 At the Country Inn & Suites, Calhoun, we set out a variety of morning treats, including bagels with cream cheese, yogurt, fruit and biscuits with gravy. Treat yourself to a second cup of coffee and a pastry while you peruse the free weekday newspaper. When lunch and dinnertime roll around, check out one of the nearby popular restaurants, including Ruby Tuesday and IHOP.